Sculptors in ancient history are the only ones who ever had time to truly study the human form and create beautiful works of art out of it, right? Wrong. 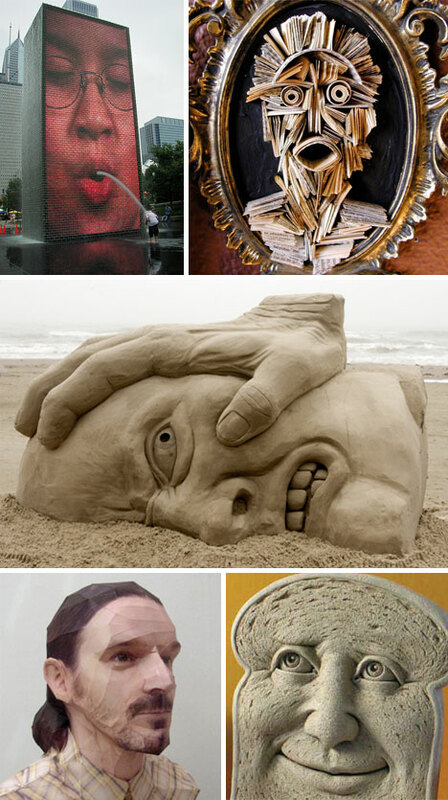 Modern sculptors and artists have been blowing fans away with their creativity and skill. 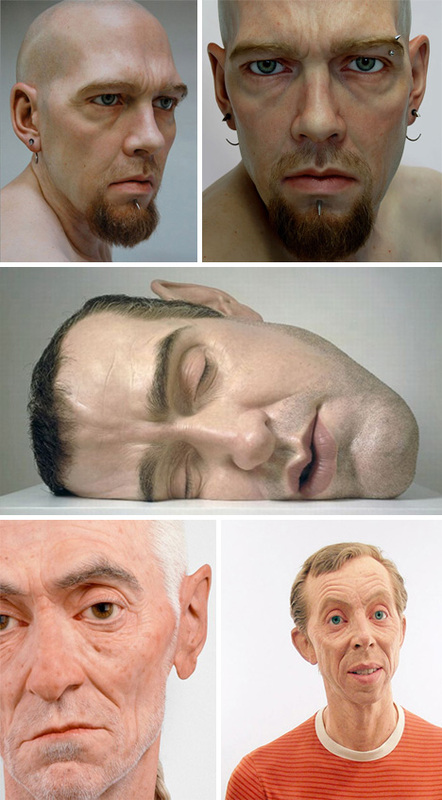 Sam Jinks creates hyper realistic sculptures of people and forms out of silicone and other materials. If these sculptures weren’t in the middle of the exhibition floor, one might mistake them for another museum visitor. 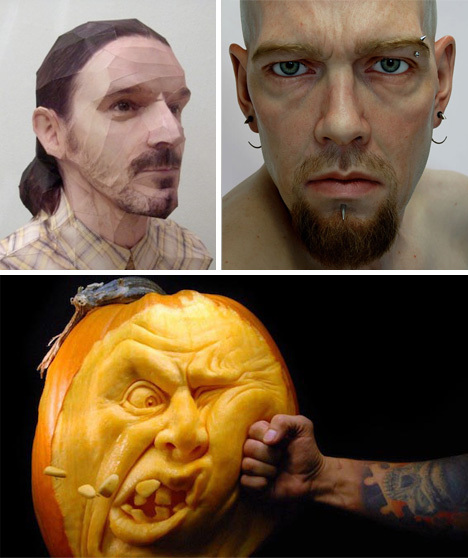 These pumpkins are incredibly realistic, almost to the point where one feels guilty for seeing how much they’re being annoyed by their own carver. 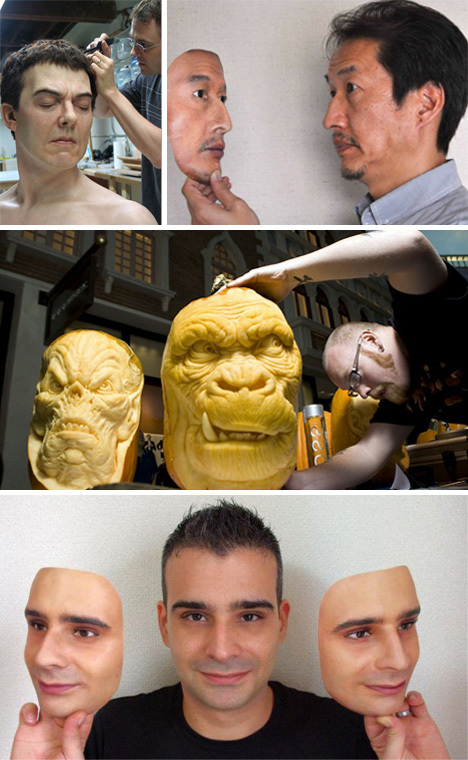 Real-F is a product that allows you to make a hyper realistic mask of your own face. Imagine that on Halloween, when friends think you decided to skip the costume. 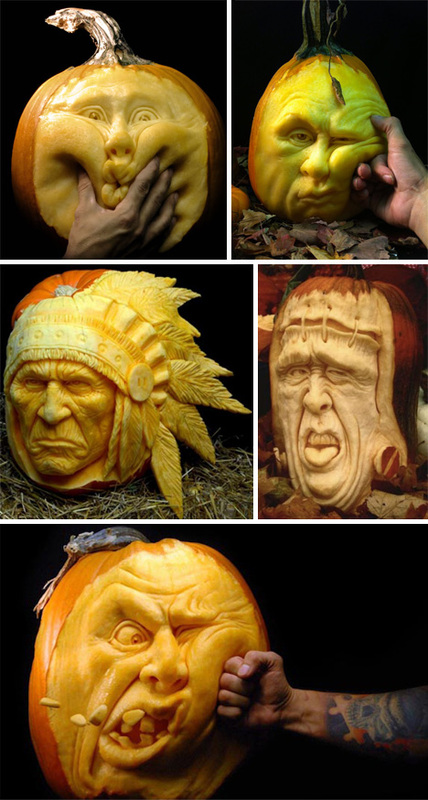 The incredibly detailed pumpkin carvings seem like they could have stepped right out of a film set. Some artists seem to have almost too much fun choosing their materials. 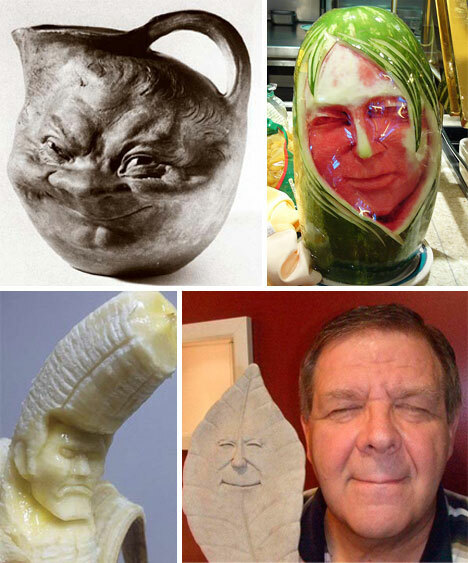 The watermelon and banana sculptures are a perfect example of why having lunch with an artist can be incredibly entertaining. 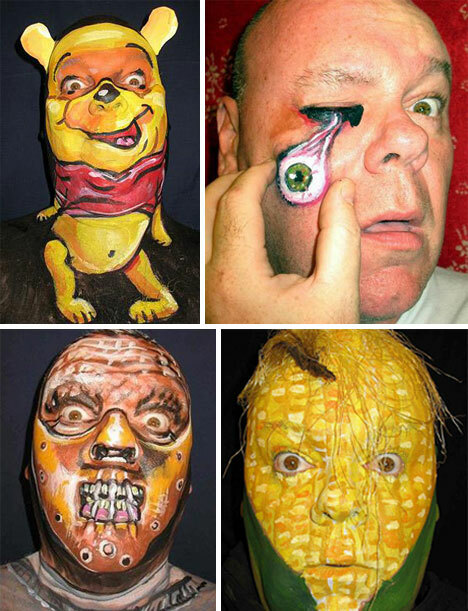 Artist James Kuhn created 365 face paintings on himself in one year, and the results are incredible (and often a bit… disturbing). 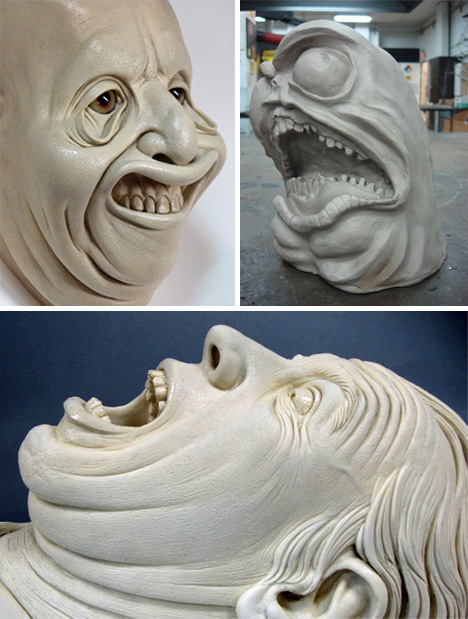 Speaking of disturbing, some sculptors have a lot of fun tweaking faces to create something a bit less than human, but close enough to provide a generous helping of goosebumps.